Invite your family members or occasional guests on this beautifully solid rustic oak dining table and chairs from Zeus range. Constructed with solid oak wood with a rustic antique finish. The dining table comes as whole set with 6 solid dining chairs. The base of the dining table has ample of room for legs. Finished with natural wax to bring out its natural beauty and featuring straight chunky legs. The chairs have beautiful barred backrest for better support. 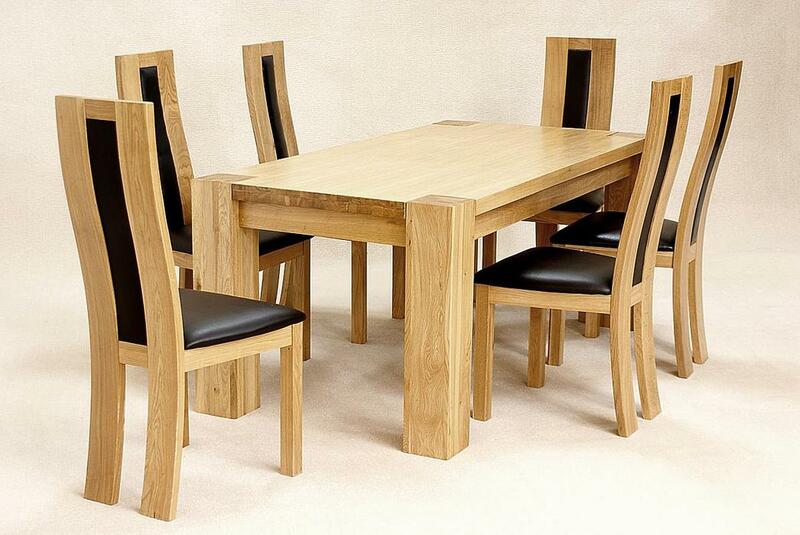 Transform your dining area or kitchen area with this simple and classic dining table set.